The Shingen Bukuro or Shingen bag is often used by Japanese men when they wear a kimono or other traditional clothing. These bags are easily big enough to carry your smartphone, your wallet and more besides. 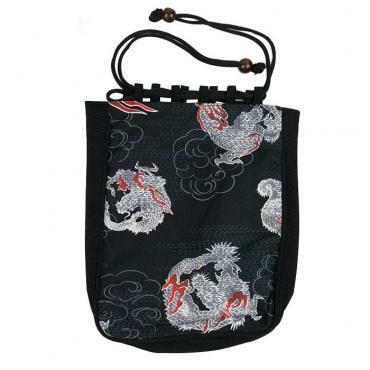 This bag has a traditional and striking pattern featuring dragons. The Shingen Bukuro or Shingen cloth bag is often used by Japanese men when they wear a kimono or other traditional clothing. 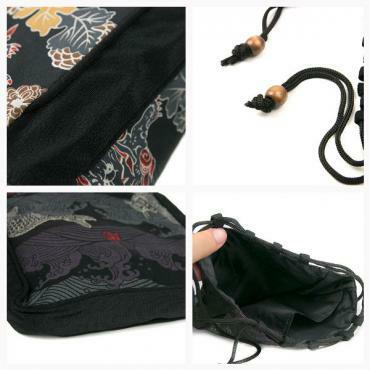 These bags are easily big enough to carry your smartphone, your wallet and more besides.